First look at SpaceX Spacesuit. 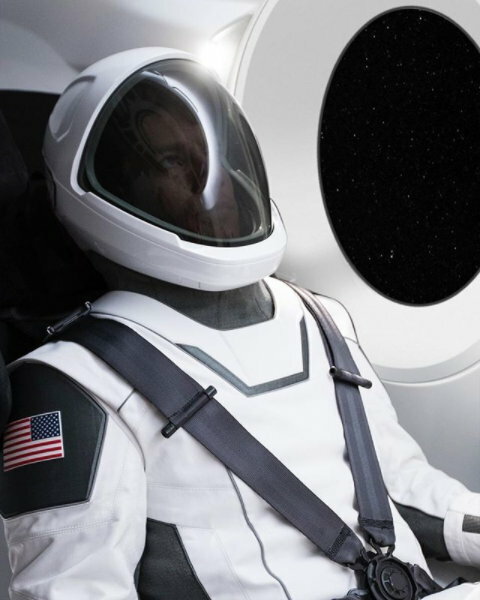 Elon Musk gave the world a second sneak peak at the new SpaceX space suits they've been developing. According to him the suit is a fully tested working model. Whilst Mashable noted that the suits have a certain cool factor about them with their sleek, body fitting design, and black and white styling, I can't help but think there's a safety issue here. The suit has been tested in a vacuum so I'm assuming they're for use and survival outside of a space craft. The predominant colors of space and space craft appear to be black and white, the same coloring as the suit. Spot the astronaut in this image. If, for some unfortunate reason, an astronaut found themselves drifting off into space they'd want to stand out not blend in. A cool, black and white, space suit may stand out on Earth but up in space? There's an easy fix here. A quick trip to the nearest high viz-ability work wear store for some reflective vests (I'm recommending this one from 3M with extra pockets) and SpaceX's astronauts can be both stylish and easy to see in space. 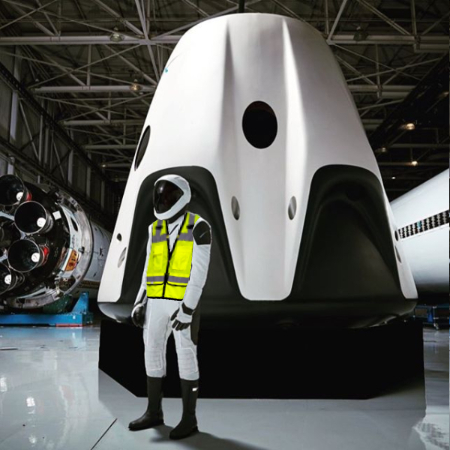 Second look: Astronaut spacesuit next to Crew Dragon can now be seen. Photo: Elon Musk. 3M Hi-Viz Vest added by TET.